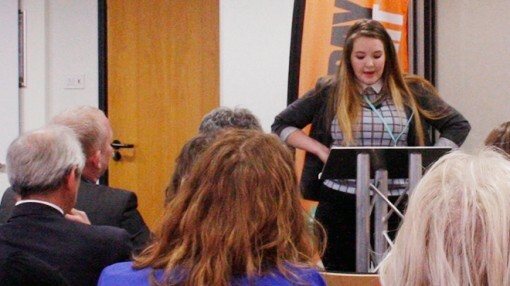 Bryony Hamblin, 21, addressed the Welsh Assembly during the TUC's Fair Pay Fortnight campaign. She is a supermarket worker from the Rhondda Valley in South Wales. After moving to London for University, Bryony decided against completing her studies due to the high cost of living and worries about debt.